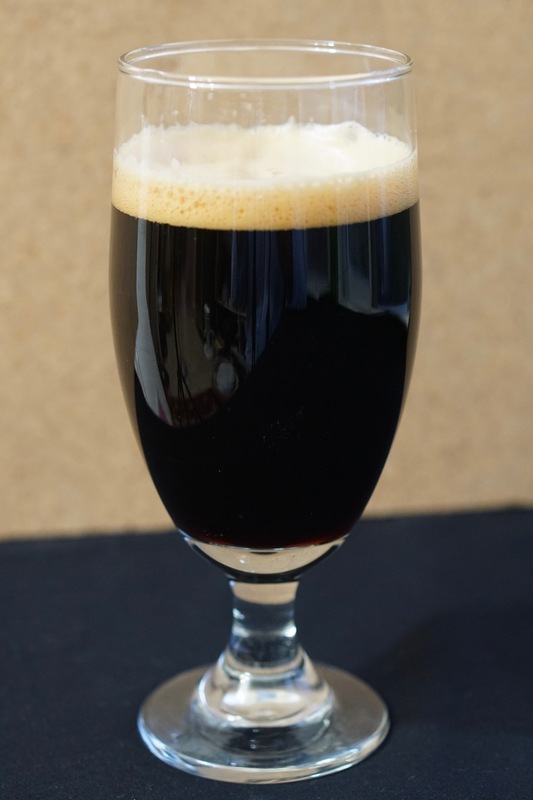 This beer was made without roasted malts! Not yet fully carbonated but I couldn’t wait any longer! This beer was made with a single malt sent to me all the way from Montana from Ryan Pfeifle at Farm Power Malt. Ryan your “samples” are on their way! I’ve been talking to Ryan about diastatic brown malt and the theory that a lot of colour can be achieved with a stewing phase at around 122°F 50°C. The question that I’ve been trying to find out lately is whether or not this was part of the malting process for brown malt back in the 18th century or was most of their colour achieved by high temperatures while there was some moisture present thereby partially caramelizing the malt like a Munich malt. This may be an impossible question to answer but it’s leading to some fun experiments. Believe it or not, this malt was kilned under 200°F and does not have any caramelization. However, it did undergo a proteolytic stewing phase at 120F 49C after germinating which obviously after kilning has produced a wack-load of melanoidins. Talk about rich wow! This beer is super malty, full of dried fruit flavours like prunes, raisins, and cherries which are covered in caramel. Unfortunately, I made the shameful mistake of underpitching my yeast and the fermentation stopped at 1.029 (O.G. was 1.075). 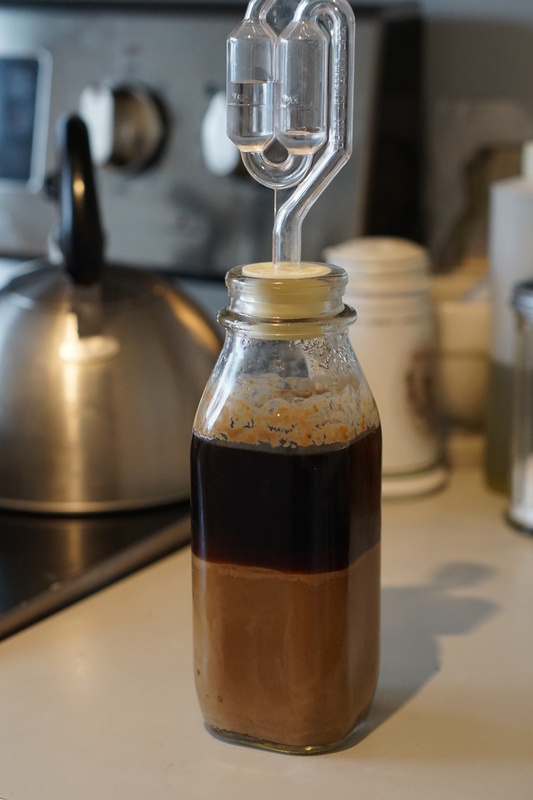 It tasted great, not too sweet for me, so I bottled it. In hindsight, I should have given it a stir and another week. Luckily I reserved some yeast with some of the beer and I left this at room temperature to see if it would ferment down and it did! After one more week, the gravity is 1.018. My numbers were very surprising. With 11.85 lbs. of malt used in this recipe my gravity should have been around 1.062 at 75% efficiency, according to my brewing software, but I ended up with a whopping O.G. of 1.075. With a potential final gravity of 1.018, my ABV would have been 7.45%. As it stands now the ABV is at 6%. I gave it a one hour mash at 150°F. Note: I started with a high kettle volume (7 gallons) and boiled for two hours leaving me with a final volume of just over 5 gallons. The flavour reminds me of beer made with a lot of Special B malt which makes me think this malt would be perfect for a Belgian Dubbel or perhaps it would be well suited for a dark lager, smooth malty and dark but not roasty. Or perhaps since the flavour is so bold it would be great in a barleywine. At the moment this malt is still being developed so they’re still tweaking the recipe. Ryan’s got a very cool malting system which he built from scratch on their farm so be sure to check out their website! 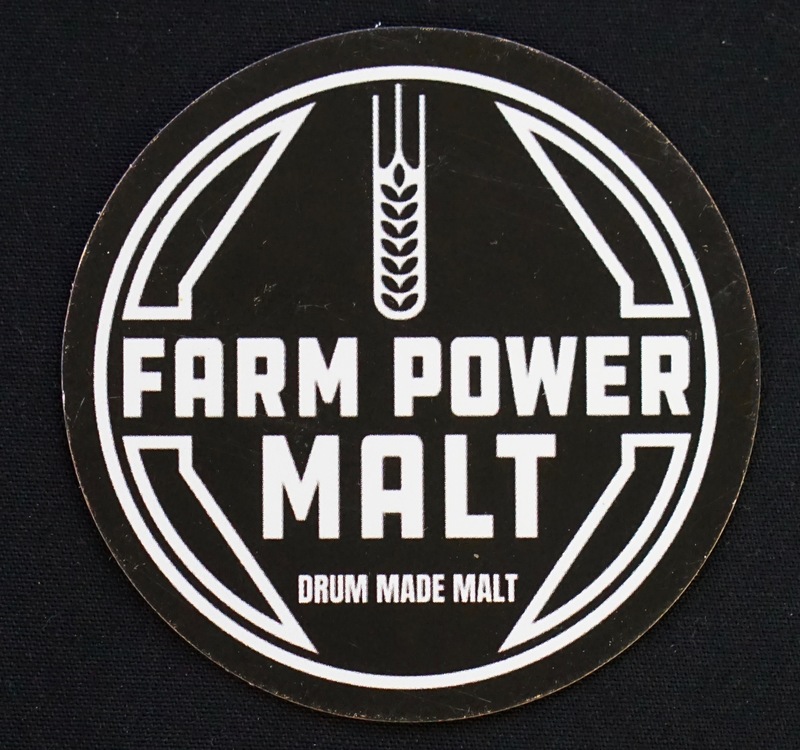 Thanks for experimenting with our malt and contributing to the craft malting community. Your research has been invaluable. Can’t wait for the samples. Wonderful, it’s really amazing. If it were not for explanation, it would seem a beer with roast malt! Great blog! I have an offline question for you, what is the best way to reach you?